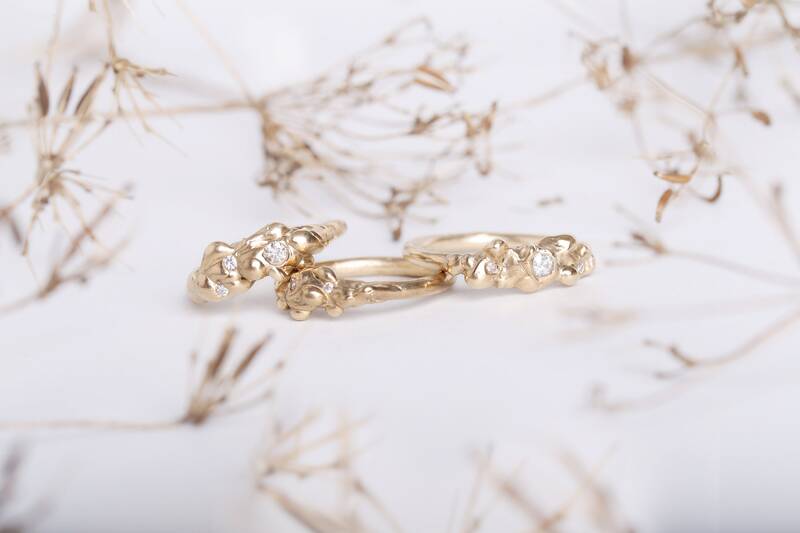 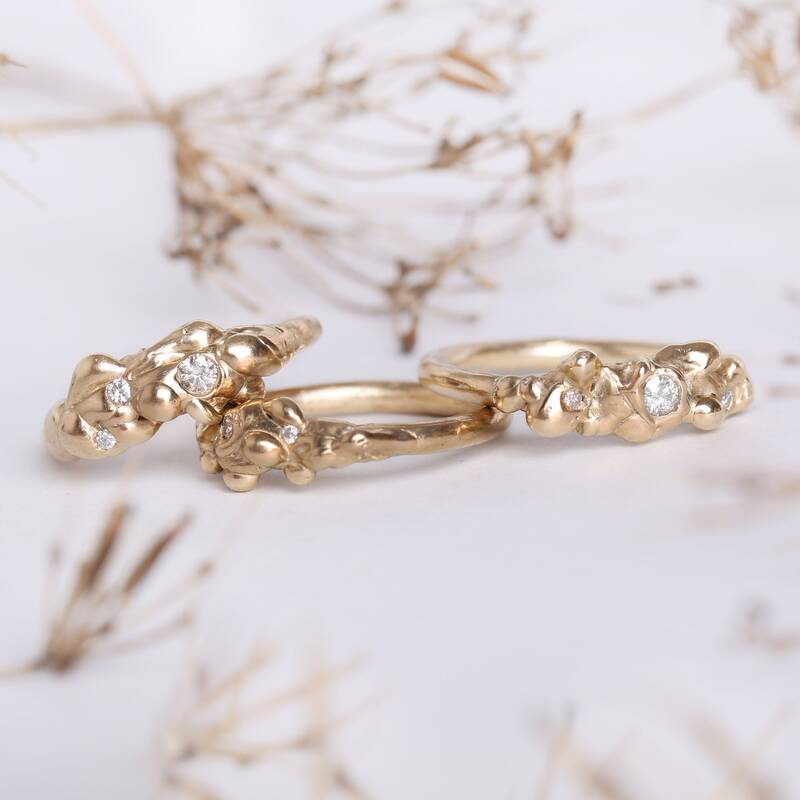 The Asco rings are inspired by Ascophyllum nodosum. 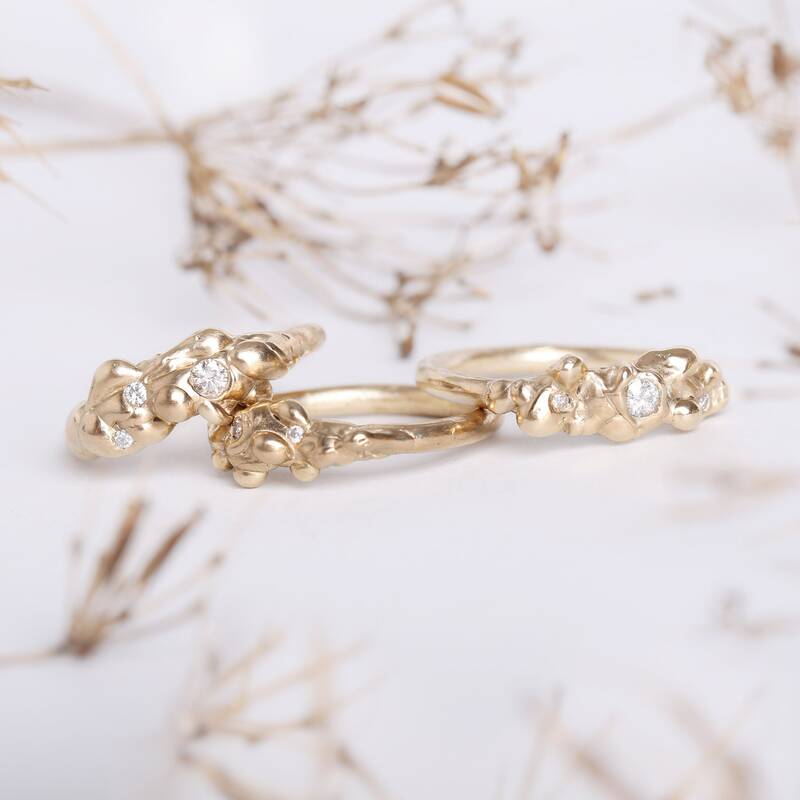 They are hand carved in wax making each ring completely unique. 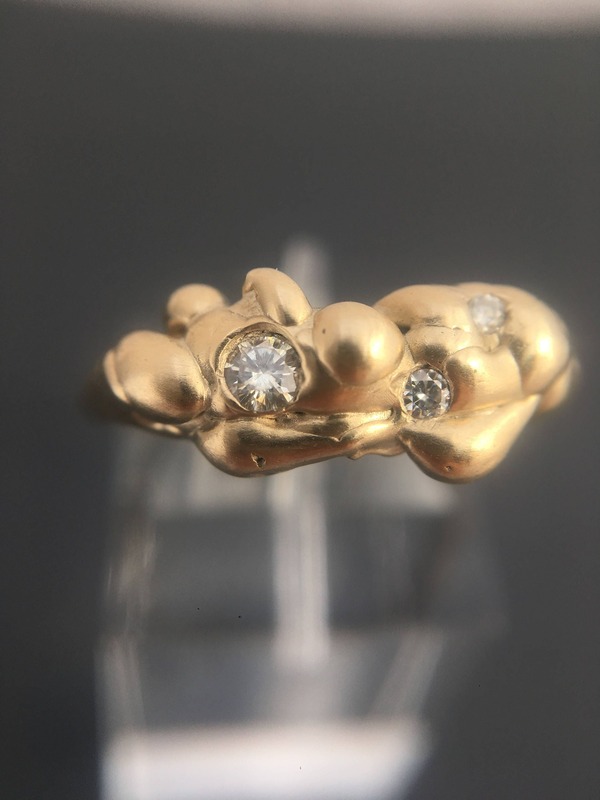 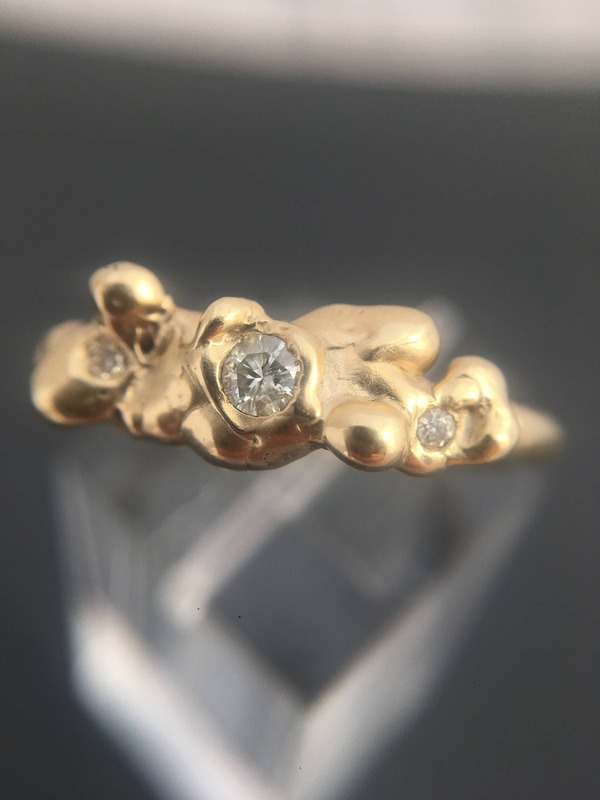 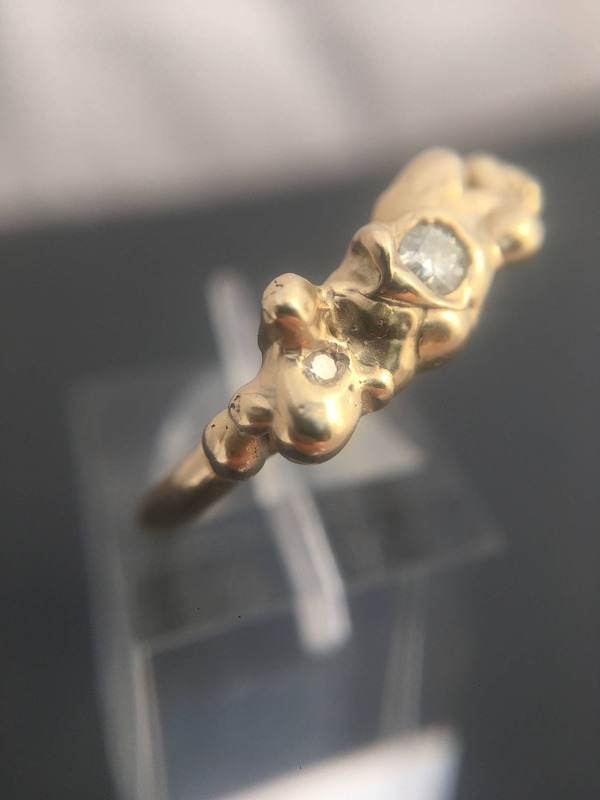 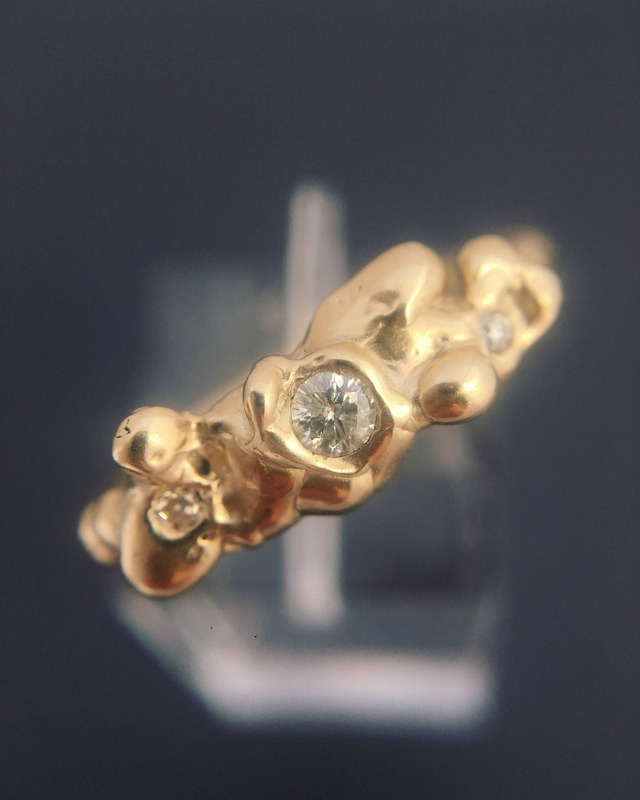 The Moissanites are set in the wax and cast into gold with the ring. 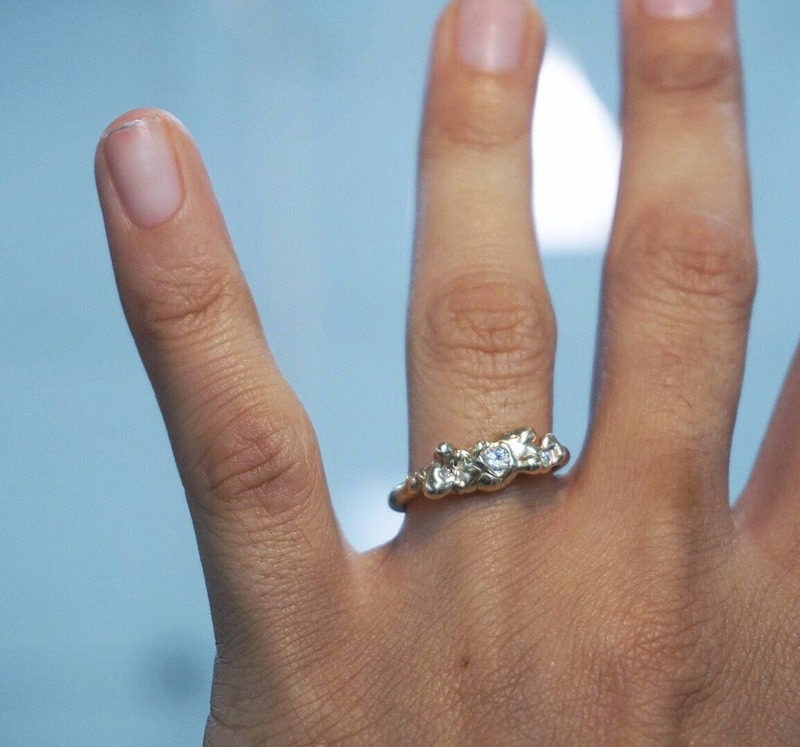 Moissanites are the man-made version of diamonds and come certified with a diamond equivalent carat.